Jacket Size 12, Patterned tunic (top middle) size 10, Grey dress size 10, Green top size 8, Red dress size 6, Patterned dress (bottom right) size 10, Boots size 9, Belt. Here’s my latest purchase on www.trademe.co.nz I’m not sure how I found these gloves because I never specifically targeted them but I’m glad they popped up. A trader obviously makes them and sells them on Trademe for a living because she has them in various different colours and with different decorations – pearls like on mine or coloured sequins or beads. They fit well and are so warm. It’s often chilly in my work office but I need to be able to use a computer so these keep my hands warm while leaving my fingers free. 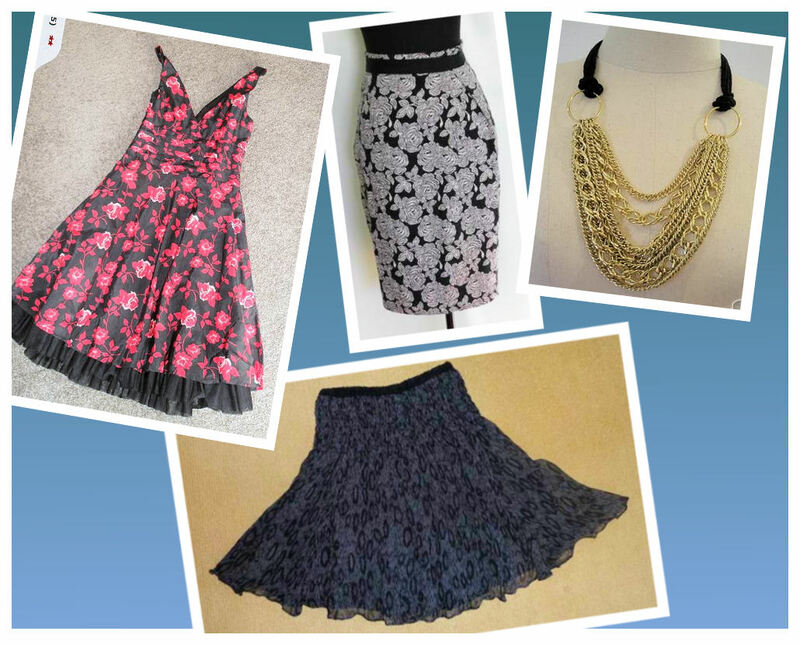 I started with a lace top/dress I bought off trademe.co.nz and played with a few pieces I already had – a waistcoat my niece gave me, my prized black Storm leggings and the jacket from this post. 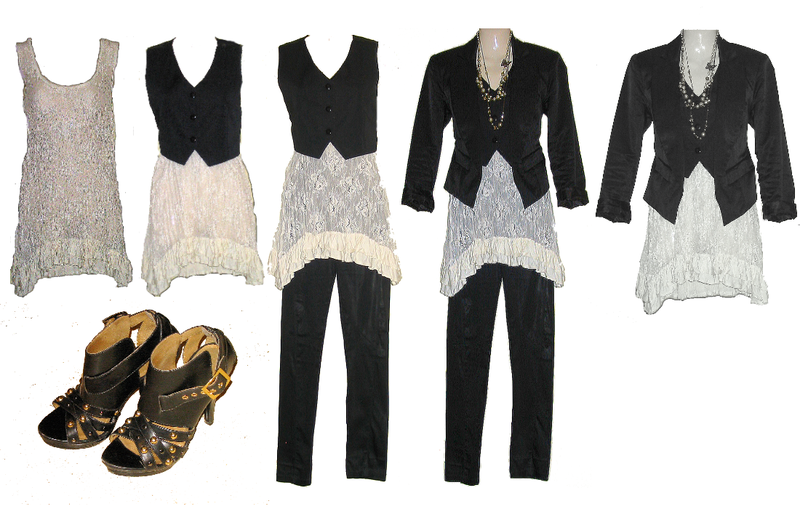 Wear it in any of the combinations in the photos and that’s just the start for a basic like this. I added high, strappy heels but boots would work well too. To finish I added a necklace made of chain, large pearls, gold baubles and a gold metal butterfly.